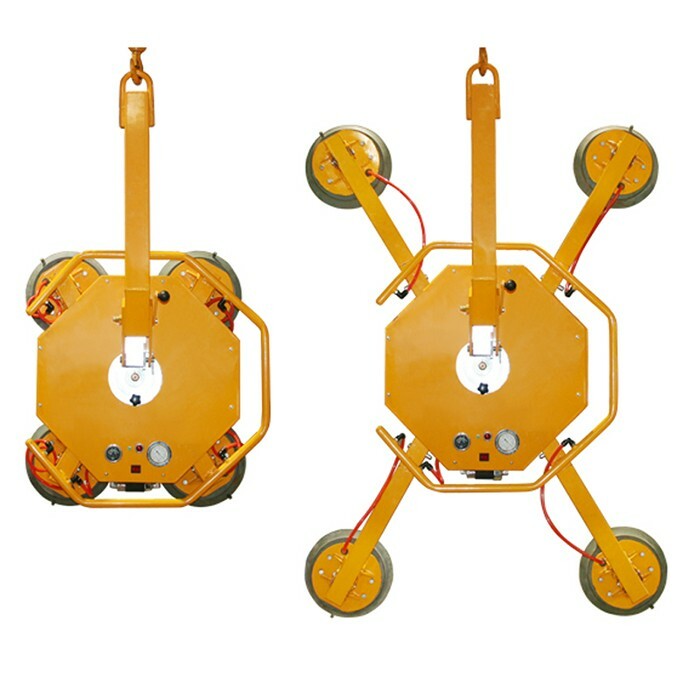 ARGL-500 DC Powered Vacuum Lifter is suitable for lifting and transporting of glass elements up to 500 kg. This DC powered vacuum lifter can be used to install windows and large sheets of glass with the aid of forklift, counter balance crane or overhead hoist. On-board DC power systems provide cord-free operation at the job site. 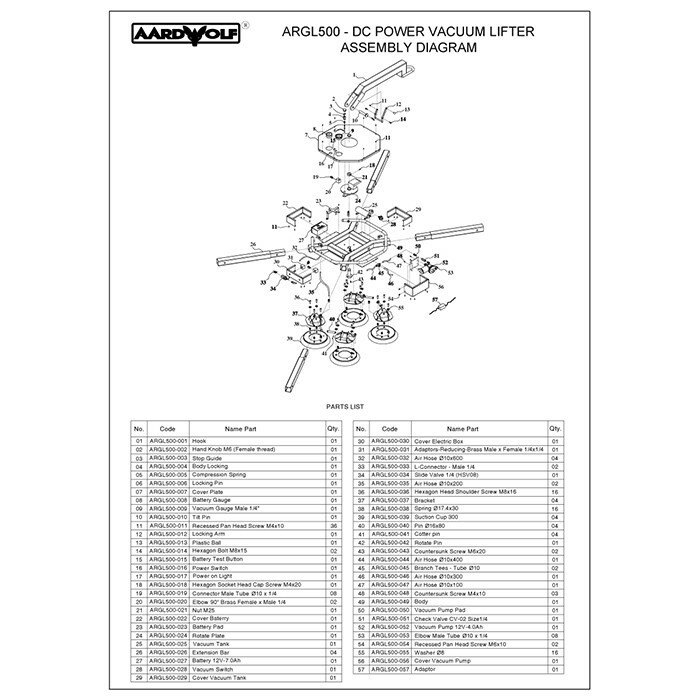 Movable vacuum pads and extension arms allow the ARGL-500 DC Powered Vacuum Lifter to handle glass of nearly every size and shape. 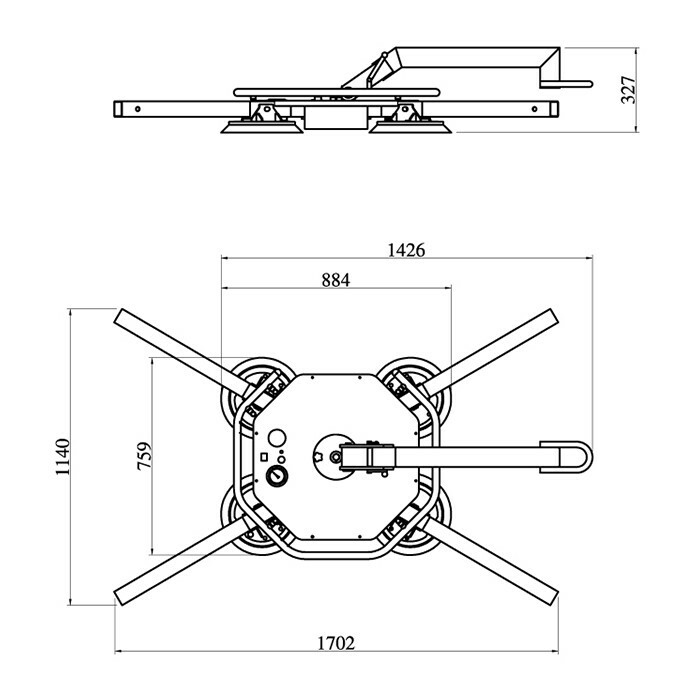 General ARGL-500 DC Powered Vacuum Lifter is suitable for lifting and transporting of glass elements up to 500 kg. This DC powered vacuum lifter can be used to install windows and large sheets of glass with the aid of forklift, counter balance crane or overhead hoist. On-board DC power systems provide cord-free operation at the job site. Movable vacuum pads and extension arms allow the ARGL-500 DC Powered Vacuum Lifter to handle glass of nearly every size and shape. Features Spring-loaded suction pads. Manual rotation of 360? with 90? steps. Manual tilting by 90? in 15? grid. Removable arm - Depth min. 150 mm. Integrated vacuum reservoir tank. Integrated instrumentation for monitoring the vacuum and the energy supply. 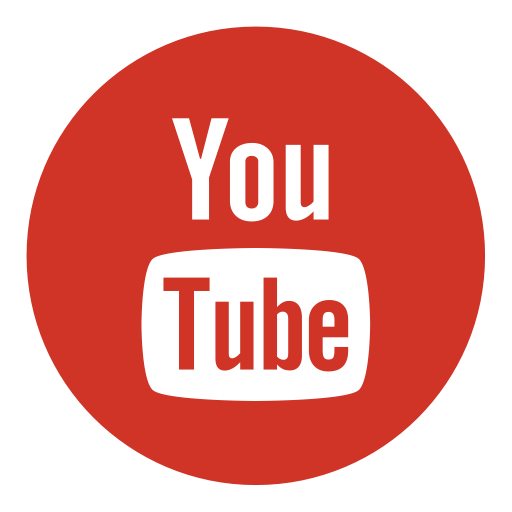 Visual and audible warning devices. Self-contained 12-volt battery power supply with high capacity. 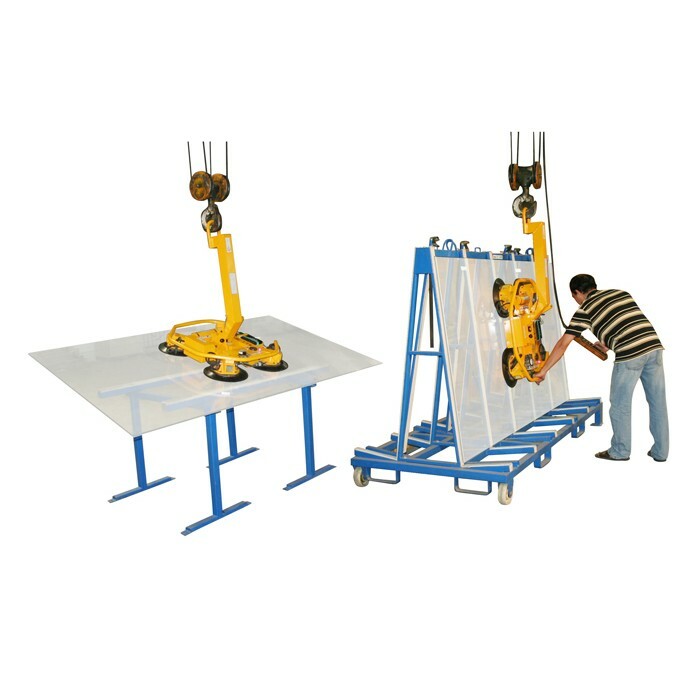 Extension arms allow the handling of large-sized sheets. Specifications Battery information: - Power supply:12v 7.2Ah battery - Charging requirements: 12V 2A - Standby time: 5000h - Charging time: 3.5h - Non-stop working time: 1.3h - 6-month warranty Motor information: - Vacuum Flow Rate: 32.5 l.min - Motor: 12V 4A Suction pad configuration - Pad diameter of 300 mm (4 pads) W.L.L: - Horizontal lifting: 500 kg - Vertical lifting: 400 kg Package Dimensions: L.1050 x W.950 x H.420mm. Net Weight: 68 Kgs. Gross Weight: 88 Kgs.